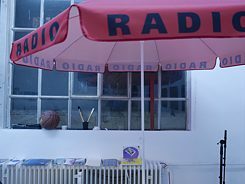 © Ralf Homann Experimental Radio is an interdisciplinary platform for radio art in Munich founded by the artist Ralf Homann, bringing together a wide range of hybrid practices at the intersection of visual arts, radio, spatial proceedings and collaborative works. The platform also fosters versatile and newer forms of radio art or sound art such as live-act, performance, micro radio, radio sculpture, audio documentary, aesthetic journalism and transmission art or sonic strategies. Experimental Radio aims to create a network between artists dealing with urgent questions on open access to the media, the activating of space and the development of the public realm. 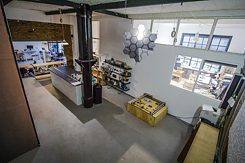 The artist-in-residence programme allows visiting artists to work temporarily in the shared studio space on their project ideas and to participate in current Experimental Radio's activities. The programme aims to introduce Indian artists to the Munich art world through public events. The shared workplace is in a municipal studio building (Städtisches Atelierhaus Baumstraße) located in the heart of Munich. More than 35 artists and architects work here in 24 studios. The visiting artist will be accommodated in the Streitfeld, 15 minutes away from downtown Munich. The Streitfeld is an artist co-operative with housing and studios. It includes a shared apartment for visiting artists that is run by the City of Munich (shared living room, kitchen, but own bathroom). Applications open for a residency from June 15 to July 27, 2019. Located in the heart of Berlin-Kreuzberg, Lacuna Lab e.V. is an artist-run space, collective and non-profit © Lacuna Lab association bringing together a wide range of hybrid practices at the intersection of art, science, and technology. Since 2015, it has been a habitat for collaboration and exchange on interactive, interdisciplinary artworks and participatory events, such as exhibitions, workshops, meetups, and lectures. With an international set of members, Lacuna Lab fosters cultural and knowledge transfer on a local and global scale on topics including audio-visual-, bio-, and space-art, creative coding, machine learning, textile design, dance/performance, music, and science. The artist-in-residence programme allows guests from other cities and countries to temporarily work in the studio space on their project ideas and participate in the association’s activities. Applications open for a residency of 4 - 6 weeks between September and December 2019. 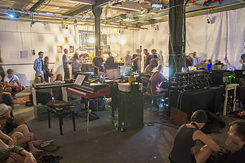 Since 2006, Lichtenberg Studios has been the home of an international artist-in residence programme, located in the top floor of a Wilhelminian-period apartment building in the ‘Victoriastadt’ quarter, not far from the historical Tuchollaplatz square, in the Berlin district of Lichtenberg. 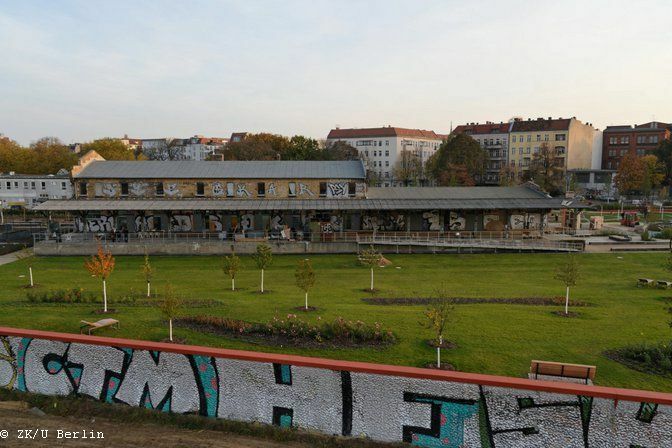 From 2011, Lichtenberg Studios will take over this facility and offer artists from all over the world the opportunity to live and work in an interesting district in former East Berlin and to obtain their own impressions of Berlin and the city’s art scenes. Lichtenberg Studios intends to help focus the attention of the artists-in-residence on the district of Lichtenberg itself, its history, architecture, and its inhabitants and their lives.That is why with ‘their projects’ are referring to small-scale, mostly unobtrusive interventions that will generally take place without being announced in advance and will appear natural and spontaneous. August 1 to 31, 2019. Schauburg is the theatre for young audiences of the Bavarian capital, Munich. Set up in 1953 by Siegfried Jobst as Munich’s Märchenbühne, it was taken over by the city in 1969. Since 1983, the Schauburg has been artistically independent. In 1990, the city approved its conversion into a modern theatre. After the completion of renovation work in the early nineties, it has become one of Europe’s most modern, state-of-the-art theatres for young audiences, with a stage that can be changed to meet individual requirements. Some 350 performances take place here each year, with audience numbers totalling more than 40,000. The productions are targeted at all age groups and are presented in the categories theatre, music theatre, dance, puppet/object theatre and performance art. The ensemble consists of six actresses and actors, supplemented by guest performers. The ensemble performs plays for even the tiniest tots from the age of two, staging image theatre, narrative theatre and puppet theatre. It develops its own plays, adapts classics for its young audience and presents young contemporary authors. In cooperation with freelance artists, the ensemble experiments with new music theatre and cross-genre theatrical forms. The Schauburg also puts on mobile productions at kindergartens, schools and libraries and gives guest performances at international and national festivals. © Schauburg, Munich Courses and workshops for children and young people take place within the Schauburg LAB. Holiday courses are offered, as are courses lasting the whole season that culminate in the production of a play with youngsters on stage. In cooperation with other Munich venues Schauburg hosts the festivals Kuckuck (theatre for toddlers, March 19, annually), Think Big! (dance and music theatre, next edition July 2018, biennial), Internationales Figurentheaterfestival (puppet theatre, next edition October 2018, biennial ), Politik im Freien Theater (November 2018, only once). The Schauburg invites Indian theatre artists (directors, theatre pedagogues, dramaturges) who plan to work for or with children to explore the wide range of theatre for young audiences as it is presented in Munich and Germany. The guest may join rehearsals, performances, conceptional process, festival management and the workshop and courses for children and young people, assisting as far as possible. Next residency in 2020 - dates tba. © whiteBOX Munich The whiteBOX project in Munich occupies 2,000 square metres of the building known as 'Werk 3', providing ample space for artist studios and an approximately 400 square metre exhibition and event venue. 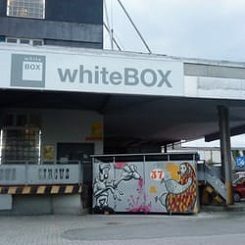 The whiteBOX is not a museum, but aspires to be a meeting point for the young companies, artists and residents of the Werksviertel along with visitors from other parts of Munich and far beyond. It offers a platform and stage for artists from all over the world and presents creative contemporary formats that transcend the ordinary. More than 30 visual artists of all disciplines now ply their creative trade in the Werksviertel. This includes 'old hands' who have had a studio on the premises for up to 20 years, along with young up-and-coming artists. As part of their artists-in residence programme, whiteBOX invites artists © whiteBox from other cities and countries to temporarily relocate their studio to the Werksviertel. 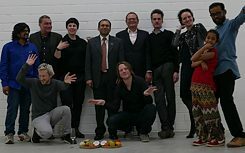 In spring 2017, a group of Munich-based artists, former bangaloREsidents, together with the Goethe-Institut, initiated the pilot project “Double Road” and hosted the first two artists-in-residence from Bangalore in Munich. Applications open for a residency from July 1 to August 15, 2019. Wisp Kollektiv is an interdisciplinary platform of artists, scientists, designers, and coders, working together in a studio and laboratory in Leipzig. For their immersive installations and performances they make use of state-of-the-art technologies and combine sound, graphic, and interaction design to challenge the awareness and senses of visitors in unexpected ways. © Wisp Kollektiv For several years, Wisp has laid a focus on working with sound in space, using spatial sound technology and sound exposure systems. In workshops and lab sessions, the perception of sound in space, different technologies and the combination of sound and visuals in space are being constantly explored and experiences exchanged. In 2016, Wisp celebrated the “Wisp Festival for Arts, Technology and Communication” in Leipzig for the first time and gathered more than 60 international artists to present installations, talks and workshops around the leitmotif “The stranger within us”. Since 2016, Wisp has been collaborating with “the Indian Sonic Research Organisation (ISRO)” and the “3D Soundlab Bengaluru (3dsb)”. Currently the collective is working on a spatial sound label and the first productions for it, including digital releases and live performances. September 1 to October 15, 2019. © Kunjikuttan Narayanan Located in a group of old factory buildings at Riesaer Straße 32 in Dresden Pieschen, Zentralwerk is reconstructed and run by the cooperative Zentralwerk Kultur- und Wohngenossenschaft Dresden eG based on a hereditary building lease granted by the foundation trias, which is the actual owner of the premises. Zentralwerk combines living and working, art and culture in one place. Artists, researchers, architects and craftspersons meet in an environment characterized by intersections. Various disciplines and people of all ages create a common space; exchange, heterogeneity and collaboration is their daily business. In this way, Zentralwerk creates an ongoing and lively discourse that goes beyond the limits of its grounds thanks to the open cultural and artistic activities in the ballroom. January 1 to February 15, 2020. Seeing itself as a laboratory for inter- and trans-disciplinary activities centred around the phenomenon of “the city", ZK/U addresses contemporary artistic positions, ranging from contextual and interventionist to conceptual and street art as its selected themes. ZK/U promotes international exchange on global issues, in the light of what is happening in one’s own backyard. Working with local and international partners, ZK/U residency brings together critical minds at the cutting-edge of artistic production and urban research. The work at ZK/U is informed by theoretical and practice-based critiques developed in the disciplines of geography, anthropology, urban planning, architecture and the humanities. Applications open for a residency from November 1 to December 31, 2019.